Spring is here in San Diego and it’s time for me to write the wrap up about my first time growing cool season crops. The picture was taken in mid January. The garden was full of nice green healthy plants. The weather was still pretty ‘cold’ in January (I know, I’m a sissy from MN who can’t tolerate cold weather anymore). 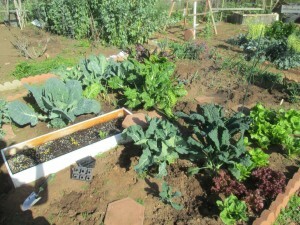 The chard did really well as you can see, and the broccoli was very productive. 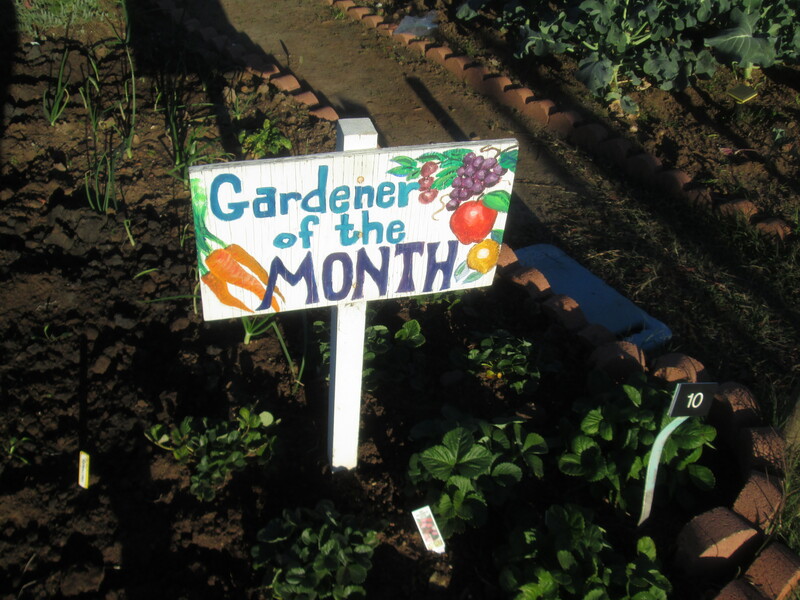 In early January, I received the Gardener of the Month sign. Grant had come down and asked if we ever had the sign in our garden, and two days later it was. There weren’t too many people with gardens full of cool season crops but I still felt good getting the award. When the sign was moved 2 weeks ago, it looked like a gopher hole and I was looking for a tunnel and realized it was from the sign. 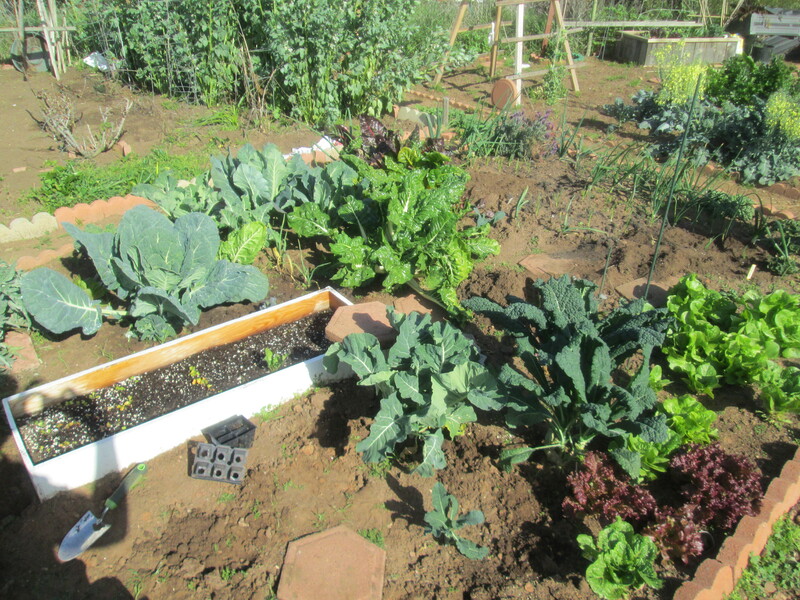 Here is the right half of my garden in the middle of February. You can see that the lettuce is doing great. 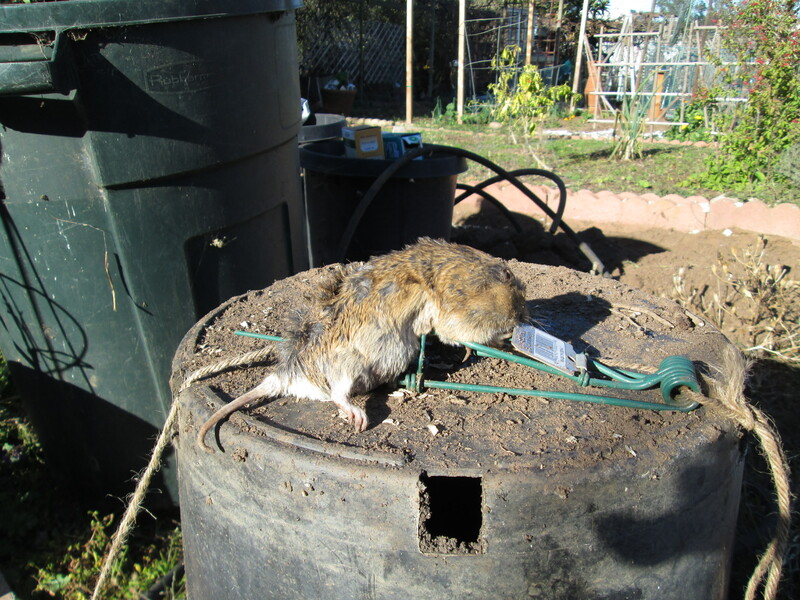 I pick it every other day and can eat a salad a day with it. 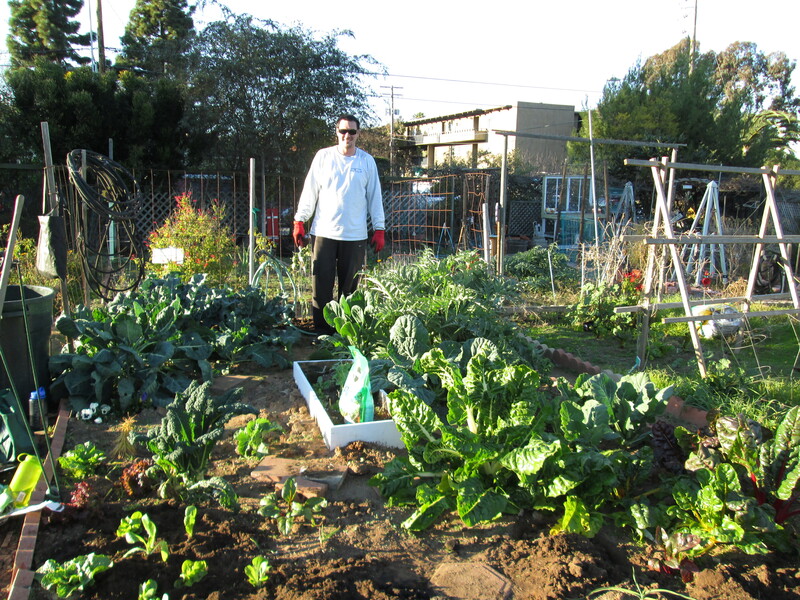 The chard is huge, and you can see a brussel sprout plant with monster leaves behind the white planter box. 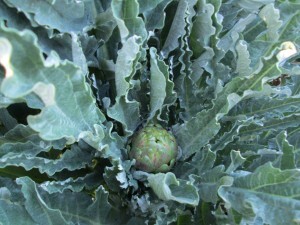 This plant grew big, but the brussel sprouts didn’t stay compact, they were ‘open’. We ended up taking this plant out since we weren’t getting any sprouts. Below is a picture of the one plant that gave us good sprouts. 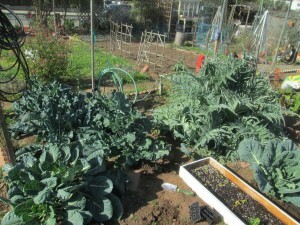 Here is a shot of the left half of the garden. The picture above is of the plant in the lower left corner of this picture. 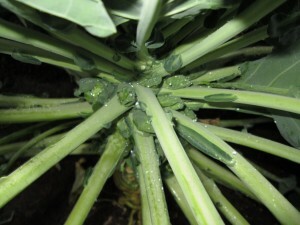 This plant gave us 30 or so brussel sprouts before the aphids took over. We just ripped it out 2 weeks ago. You can see the artichoke plant is growing out of control. After clearing out some of the lower leaves, I realized there are 3 plants growing there…and now it is starting to fruit. 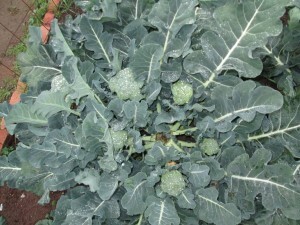 The broccoli is also doing well. It is continuing to give us side shoots. 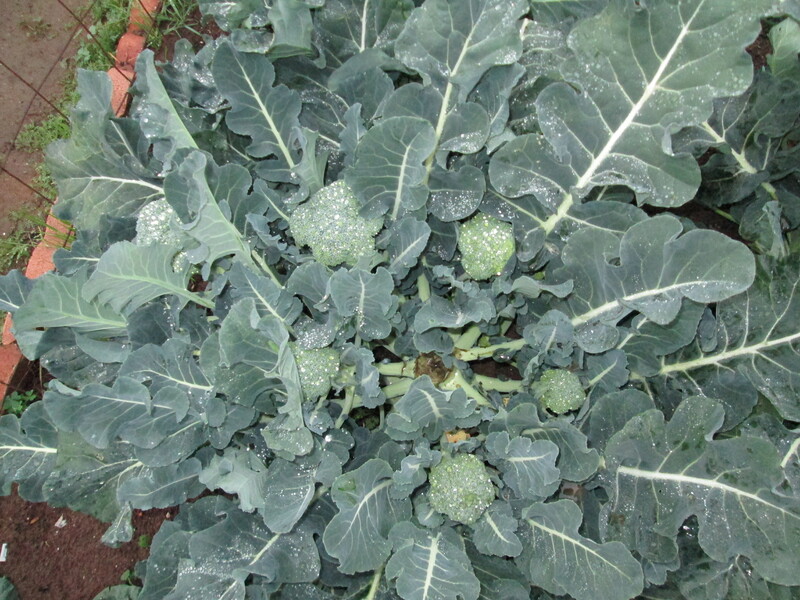 We eat broccoli at least twice a week and it tastes delicious picked fresh out of the garden. I’ll post pictures below. 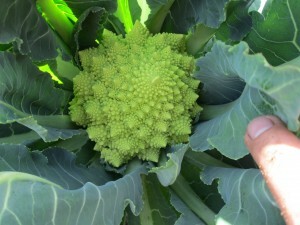 Here is a picture of our romanesco broccoli growing. This tasted great! We used this recipe to cook it. I will definitely be growing this again next fall. Next season I will not be growing cauliflower. It only puts out the single head, attracts aphids and other bugs, and frankly, I don’t really care for it. 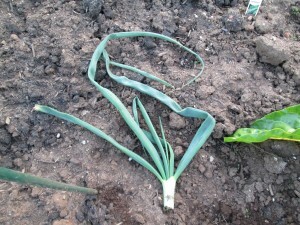 I need to remember that if I don’t like it, no need to grow it, especially if it brings bad bugs to the garden. 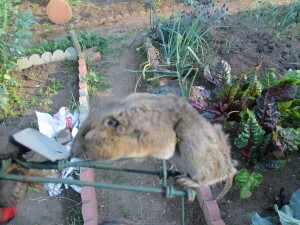 I’m still having issues with gophers… They are attacking my onions now, and have taken out more lettuce and swiss chard. 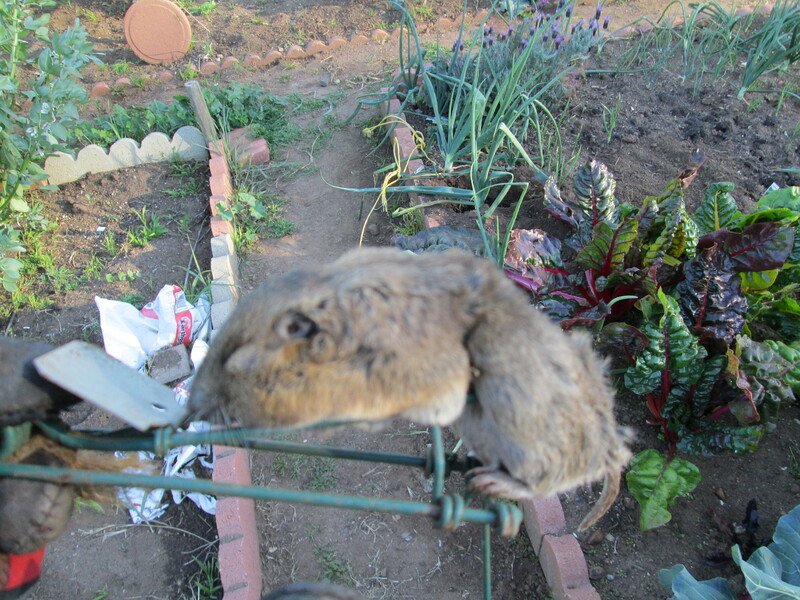 No matter how many I trap, there’s always more.The photos below are of a onion that just has the leaves above, and two dead gophers. This entry was posted in Ocean Beach Community Garden and tagged broccoli, lettuce, ocean beach garden, onion, swiss chard by lars1273. Bookmark the permalink.